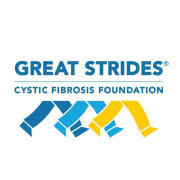 Great Strides is the CF Foundation's largest fundraising event. It provides opportunities for all people within a local community to get involved forming teams with friends, family and colleagues. Walk day is a fun celebration that includes a healthy walk and festivities that participants look forward to year after year. Please reach out and let us know if you are interested in the above. We are also always looking to improve our event by growing our event committee. If you are interested in helping with event planning and logistics please reach out as well. If you have any documents that need signature for confirmation of volunteer/services hours, please bring them to the event. Thank you.